Somehow, a very lucky NeoGAF user by the name of hiphoprobot got shipped his Nintendo Switch a whole two weeks early. Although the user kept schtum about which retailer shipped it out so early, as he was concerned about repercussions from Nintendo, thankfully he was not so shy when it came to sharing photos and videos of the hybrid console. 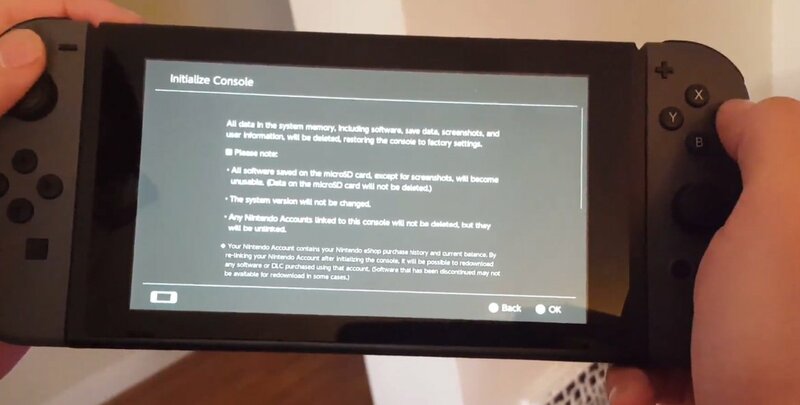 As well as your usual unboxing fare, which is basically a giant tease for those eagerly awaiting the arrival of their Nintendo Switch consoles, we also get a decent look at the console’s menus. Of course, given that Nintendo is undoubtedly planning a few things for launch day, what greeted him on the News screen might differ a bit to the actual release. However, there were several helpful items, like “Setting the Table(top Mode)”, but unsurprisingly he couldn’t access the eShop just yet. 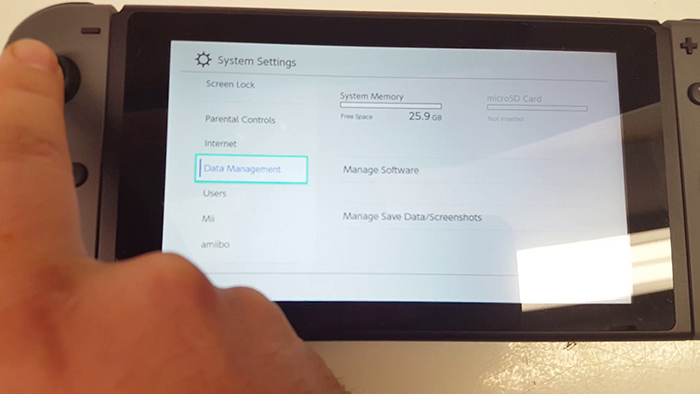 He also was kind enough to show us the settings menu of the Switch, showing us that while the system does have 32GB of internal storage, only 25.9 GB of it is actually usable. There are also settings for the home screen theme, sleep mode, notifications and audio/video output. Overall, the interface seems clean but a little basic, but of course this is before the inevitable day one update that may improve things a little bit there. But the most interesting part of the menus and UI was actually in the start up screen. It shows that Nintendo has finally made it so that your purchases on the eShop are not tied to the hardware, but rather to your account. Basically, if for some reason you need to reset your console, you will be able to redownload your purchases. This also applies to any DLC, but it does also stress that “discontinued software” might be unavailable. Regardless of that, though, this is a huge step forward from Nintendo – and one that is very, very overdue. You can view the website which uploaded the video here, but it’s getting hammered at the moment, so you can find a Youtube mirror below. Tagged with console, early unboxing, interface, leak, menu, menus, nintendo switch, switch, ui, unboxing.